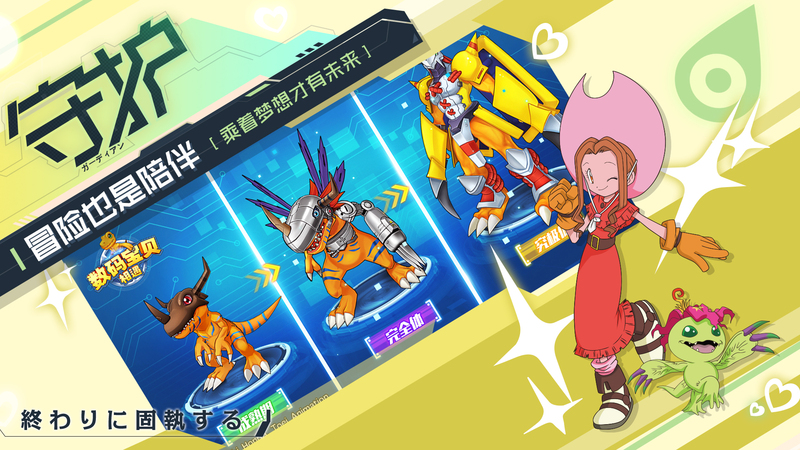 While we can't play Digimon Encounters, the Chinese mobile game has had a number of interesting things pop up regarding it since it's announcement. 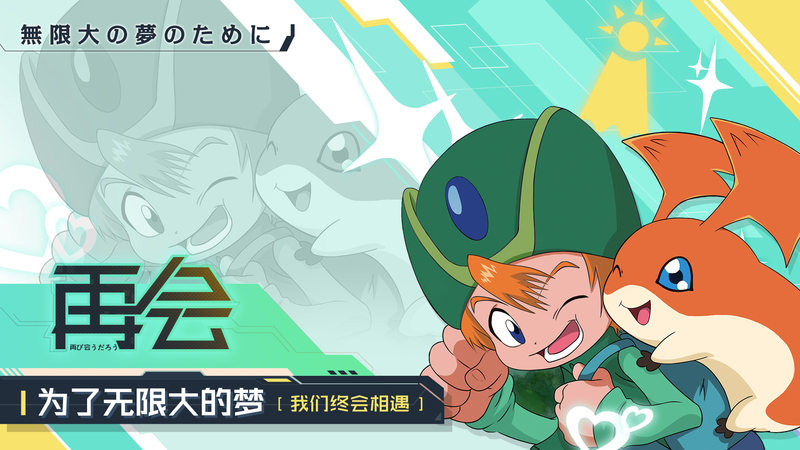 The newest is an official theme song, provided as part of an intro video on the Encounters page on Weibo. The song 'Sparking Light' is sung by Konomi Suzuki, who has sung theme songs for Absolute Duo, Fairy Tail, No Game No Life, Watamote, and a number of other titles. On top of that, they put up another video! This one appears to be interview/Q&A content with a number of the Encounters stafff. Hopefully we can get translations of some of this, as it seems interesting. 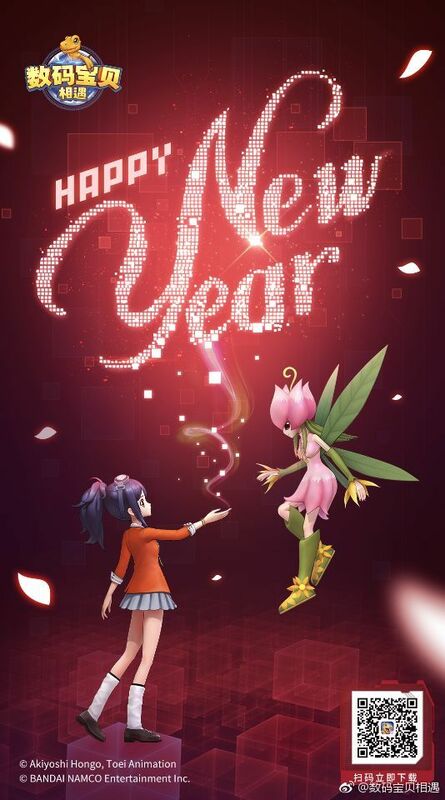 Then we get a New Year's image! On the pages for Encounter on Chinese app store TapTap, a number of promotion and instruction images have been swapped out for new images featuring the Adventure kids and Digimon. 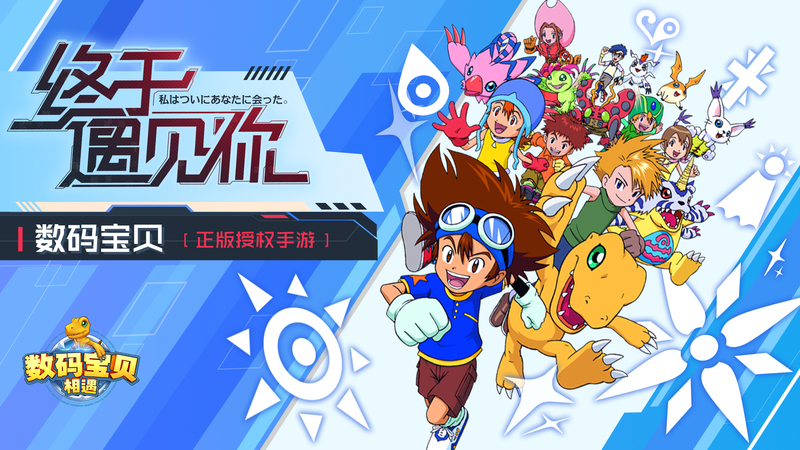 The artwork ranges from brand new artwork seemingly done by in house artists, to 20 year old promotional Adventure art (sometimes seemingly retraced), to artwork from the PSP game, to a few images that I believe have only been used in the last few years. Most of these appear to just be the Adventure characters added to Encounters informational images for promotional use, and based on what little I can make out, don't appear to mention any Adventure specific things appearing in the game. A lot of updates for Encounters with some interesting touches, for something that very likely most of us will never play. 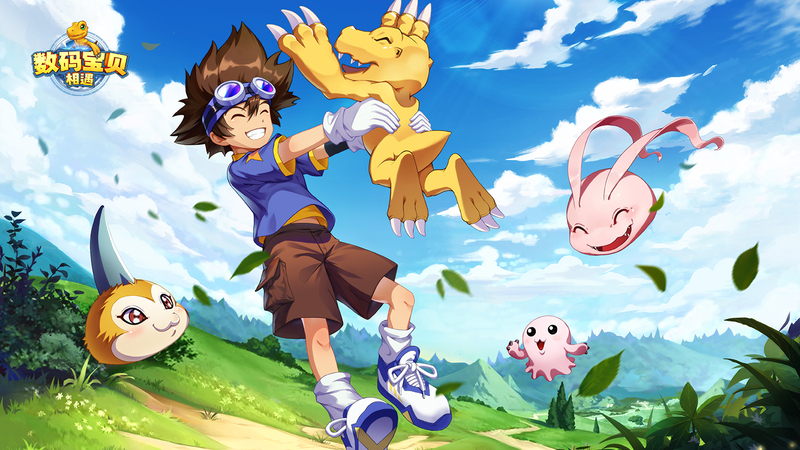 Thanks to our friends at Digimon World Espana for the heads up regarding the TapTap images. I've been wondering what they've been up to. That pic with the girl and Lillymon is adorable and gets a <3 from me. 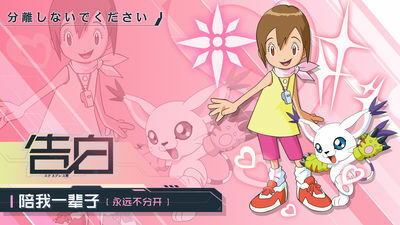 Whilst it's obviously just a generic model, I love her and Lillymon is a good boost too! That was a cool opening. The models shown at the start seem to be from ASR to me, rather than the ones from Cyber Sleuth. Last edited by Muur; 01-01-2019 at 05:41 PM. V-mon playing the expectant parent is the most amusing thing I've seen in this franchise in a while. This is cool. Bit of a shame it's only in China but maybe we can get the info from it. So I went to the Chinese version of Youtube and saw the start of the game. 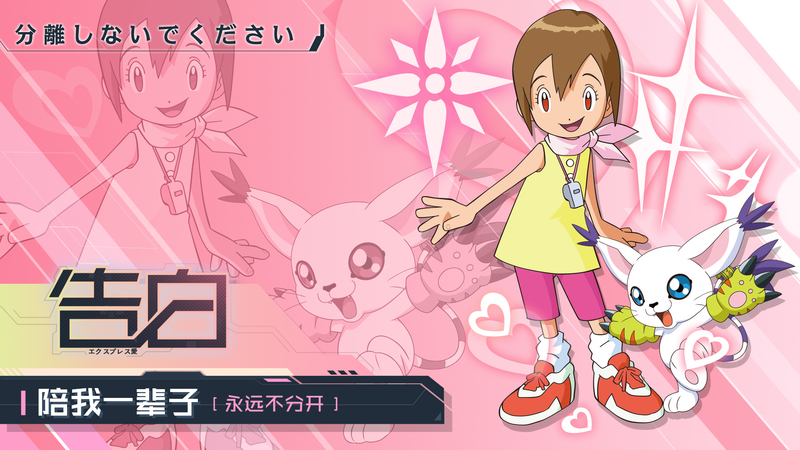 The pic up there is actually the default female protag, which makes me sad she's only in the Chinese. 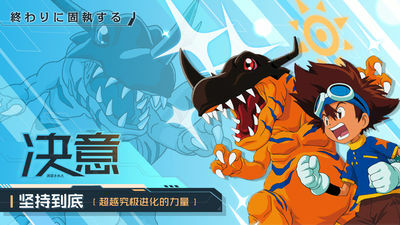 The start of the game has Agumon greet you as your partner. 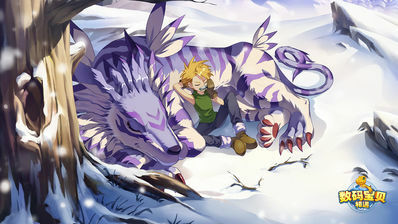 Then you see a Leomon fighting Myotismon. Then you help him. 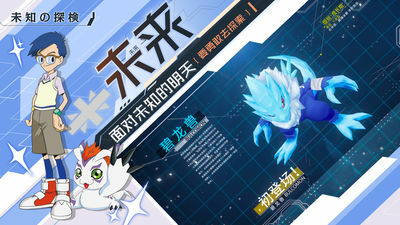 Myotismon summons Sukamon, Bakemon and Ogremon. 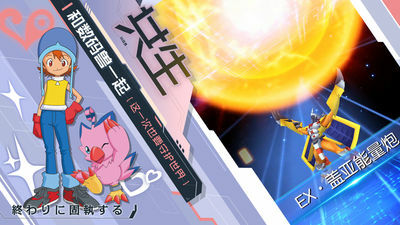 Leomon turns into GrapLeomon. Agumon turns into Greymon, then MetalGreymon then one shots all four Digimon. 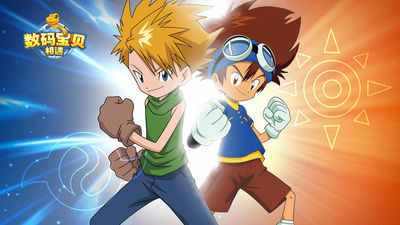 Grap then reverts back to Leomon, MGmon to Koromon. Then Leomon takes them to some sort of city, and then Koromon turns back into Agumon. All videos I saw then showed the protag getting an Ikkakumon from the first gacha, then Leomon joins their party. Then they beat the crap out of a Goblimon, then I stopped watching there. So that's how the game starts. Last edited by Muur; 01-11-2019 at 12:07 AM. 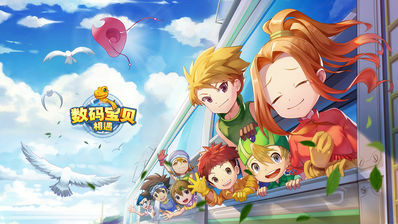 I've seen the game already, and it's pretty meh, typical chinese games, even though supervised from Bandai Namco itself. give a quick run down of the story/characters?